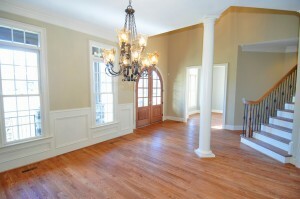 Floors are arguably the most important aspect to the feel for any home. We take that into account with every job that we do. Let the homeliness, tidiness and simple beauty that has been the pride of your home be shown with a flooring remodel! Getting a Tampa based flooring installation has never been easier. At Trinity, we will reimagine, design and install the flooring your home deserves. Your imagination is the limit with the vast selection we offer at Trinity; including wood laminates, tile, carpet, and even stone. We will also make sure that your new floor is a lasting investment for you by working with the most durable, pest and rodent-proof floor brands out there. When all completed, your floor will be a shiny, new extension of your home; one that will noticed the moment friends and family they walk in. And don’t worry, we’ll wipe our feet first. We are more than happy to schedule a consultation appointment, give a quote and work with you on making this dream a reality. Call us at 813-644-9517 or fill out the form on the right to get started.